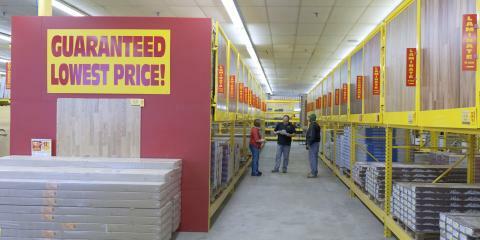 Everyone loves a bargain, especially when it comes to home improvement, and no one understands this concept better than the professionals at Bargain Outlet. You won’t ever have to wait for a sale before you start your next project because this employee-owned company has discounts year-round. They have everything you could possibly need to fix or build anything around the house. With several locations throughout Pennsylvania, Ohio, New York, and Connecticut, you can depend on the staff to assist you in any way they can. Bargain Outlet works hard to discover the high-quality merchandise that will interest their customers. Whether you’re looking for flooring, crown molding, countertops or kitchen cabinets, this company will do their best to satisfy your needs. Start your home improvement venture by taking advantage of the store locator tool on Bargain Outlet’s website. Once you find a store near you, you’ll have the opportunity to see all that they have in stock, including some informational articles about their products. Customer service is a top priority for Bargain Outlet. If you have any questions about tools and hardware, speak with one of their experts. They will be happy to walk you through their selection and offer suggestions as to what they think might work best for you. Delivery is not an option, but you save so much money by purchasing products from Bargain Outlet that you should have enough money to rent your own truck! Visit their website to locate a store near you today! Bargain Outlet in Brockton, MA is Hiring! Bargain Outlet in Cortland, NY is Hiring! 20% Off Sale Is Here! Bargain Outlet Stores Will Be Closed Easter Sunday. Bargain Outlet in Rochester, NY is Hiring! Tile Flooring: How Much Breakage Should You Expect?